Victoria McIntosh is an Information and Privacy professional here in Halifax. 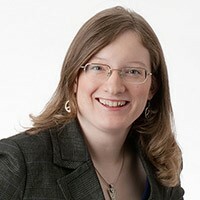 She received an honours BA in History from Mount Allison University, an MLIS degree from the University of Western Ontario, and is certified by the International Association of Privacy Professionals as an Information Privacy Technologist. Presently, Victoria is operating as a freelance consultant under her business name: Information in Bloom Management Services.